Sleep disorders are prevalent among people who have rheumatoid arthritis. Fatigue is recognized as a huge problem for those living with the disease. At one time, it was said to be unclear if obstructive sleep apnea was associated with rheumatoid arthritis. Obstructive sleep apnea is one of three types of sleep apnea. What's the current thinking? Is there a higher risk of developing obstructive sleep apnea if you have rheumatoid arthritis? Is obstructive sleep apnea the cause of sleep disturbance and fatigue which are common complaints of people with rheumatoid arthritis? Let's consider what researchers have determined. Sleep apnea is the most common sleep-related breathing disorder. With sleep apnea, a person's breathing is interrupted, or essentially stops, during sleep. In North America, the estimated prevalence—when obstructive sleep apnea is defined as an apnea-hypopnea index (AHI) of greater than 5 events per hour as determined by polysonogram—is 20 to 30 percent in males and 10 to 15 percent among females. While apnea refers to the temporary suspension of breathing, hypopnea refers to slow or shallow breathing. Episodes of sleep apnea result in reduced oxygen saturation. According to study results published in BMJ Open (2016), the overall incidence rate of obstructive sleep apnea was 75 percent higher in the cohort of people with rheumatoid arthritis compared to those without rheumatoid arthritis. The findings were derived from the first retrospective cohort study that utilized nationwide population-based data. Previous studies of sleep apnea and its possible association with rheumatoid arthritis were based on case reports or case studies with small sample size. The BMJ Open study discussion states that the risk of obstructive sleep apnea is greater in men than women, in older people compared to younger people, and in those with a comorbidity. The risk of sleep apnea is known to be associated with hypertension, hyperlipidemia, ischemic heart disease, and obesity. With regard to rheumatoid arthritis, certain factors appear to contribute to the higher risk of sleep apnea, including micrognathia, cervical spine abnormalities, involvement of the temporomandibular joint, involvement of the cricoarytenoid joint, and obesity. Genetic factors, exposure to certain environmental conditions, other comorbidities, and lifestyle choices or behaviors, such as a less-than-optimal diet (e.g., too much sugar or fat), heavy drinking or smoking, and insufficient exercise may also be contributing factors. It was also suggested that the known association between cardiovascular disease and rheumatoid arthritis may, in part, be due to sleep apnea. Obstructive sleep apnea has been tied to inflammation, coagulation, and endothelial dysfunction. As contributing factors have been identified, the cause and effect becomes more apparent and the need for managing each factor is obvious. The factors must be considered from the perspective of how rheumatic diseases are related to sleep apnea. For example, it has been determined that people with obstructive sleep apnea have elevated acute-phase reactants (CRP, sed rate) and pro-inflammatory cytokines. It has been reported that some interleukins, specifically, IL-1, IL-2, IL-6, Il-8, IL-18, and TNF-alpha promote non-REM (rapid eye movement) sleep. IL-4, IL-10, IL-13, and TNF-beta inhibit non-REM sleep. Inflammatory cytokine levels are proportionate to the severity of sleep apnea. Higher levels of TNF-alpha have been associated with more severe obstructive sleep apnea and hypoxia. This may explain why people with rheumatoid arthritis who are treated with TNF blockers find that their fatigue level improves. More study would be needed to draw a conclusion regarding the impact of specific rheumatoid arthritis treatments. The association of rheumatoid arthritis and sleep apnea may significantly contribute to increased morbidity and mortality in people who have both conditions. That the association may contribute to the increased risk of cardiovascular disease in rheumatoid arthritis patients is perhaps most noteworthy. Rheumatologists should look for signs of sleep apnea in their patients when interviewing and evaluating them and, if indicated, refer to a sleep specialist or sleep clinic. Sleep apnea is typically managed by utilizing CPAP devices. Compliance with CPAP devices is a problem for some though. It might be best described as cumbersome. Other possible means for the management of sleep apnea involve specific body position during sleep to keep the airway open, weight loss, and the use of devices to move the mandible forward thereby reducing airway obstruction. For certain, the problem should not be ignored. 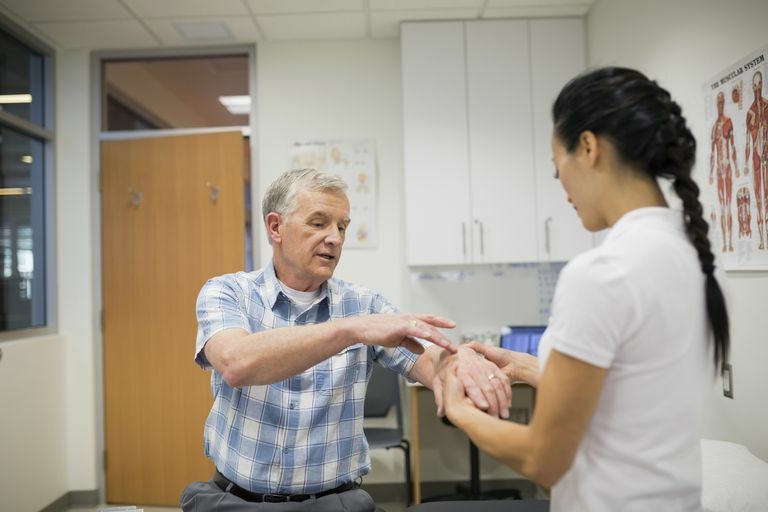 When someone with rheumatoid arthritis complains to their doctor about fatigue, it should not initially be dismissed as a common characteristic associated with the disease. It should not be assumed that the fatigue is simply related to sleep disruption and sleep fragmentation associated with pain. While that may be true in most cases, the hard work of determining the cause must be undertaken. Sleep apnea must be ruled in or out. The potential consequences of untreated sleep apnea are too great otherwise. Ataka, H. et al. Occipitocervical Fusion Has Potential to Improve Sleep Apnea in Patients With Rheumatoid Arthritis and Upper Cervical Lesions. Spine. 2010 Sept 1;35(18):E971-5. Shen, Te-Shun et al. Risk of Obstructive Sleep Apnoea in Patients With Rheumatoid Arthritis: A Nationwide Population-Based Retrospective Cohort Study. BMJ Open. 2016; 6(11): e013151. Shoda, Naoki et al. Sleep Apnea in Rheumatoid Arthritis Patients With Occipitocervical Lesions: The Prevalence and Associated Radiographic Features. European Spine Journal. 2009 June; 18(6): 905-910. Strohl, Kingman P MD. Overview of Obstructive Sleep Apnea in Adults. UpToDate. Updated June 24, 2016. Taylor-Gjevre, Regina M., Nair, Bindu V., and Gjevre, John A. Obstructive Sleep Apnoea in Relation to Rheumatic Disease. Rheumatology (2013) 52(1):15-21.